The art of paid search advertising (pay-per-click) is possibly the fastest way to generate targeted traffic for your website. These are the adverts that appear on the top side (sometimes to the right and bottom too) of your search engine results. 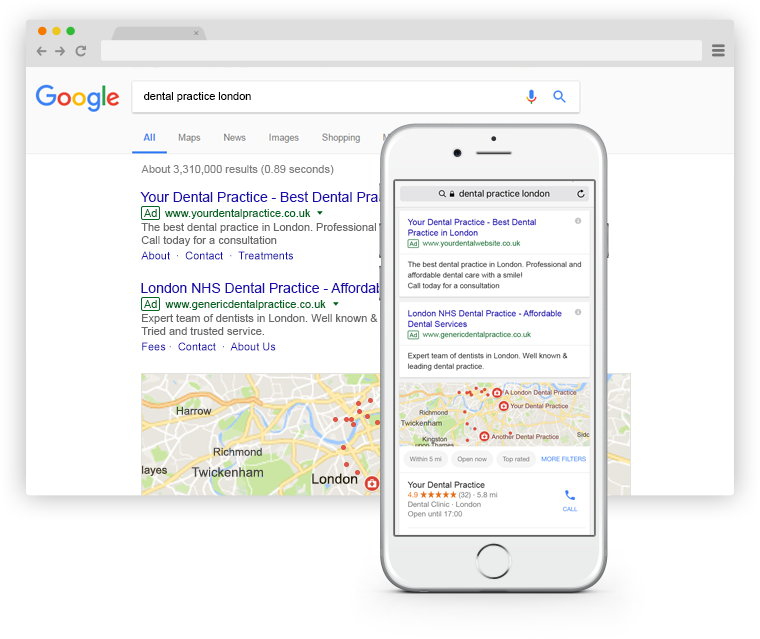 If some keywords are difficult to rank for organically then PPC can help you target those keywords for your dental practice. The premise of PPC is that you only pay for an ad when somebody clicks on it. 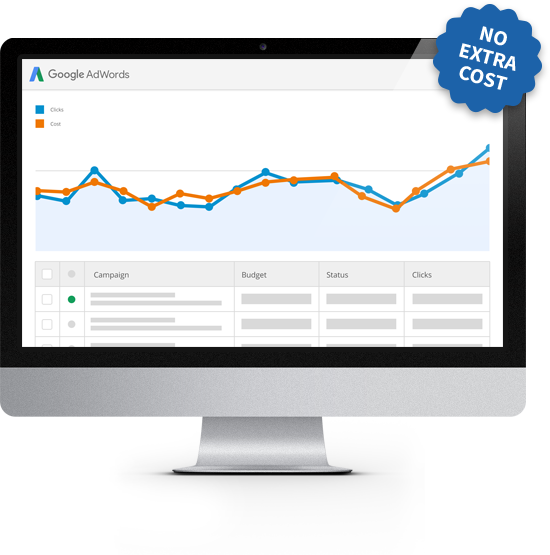 Based on your budget and objectives, our qualified team of Google AdWords experts are confident they can generate your business a positive ROI through PPC search advertising. We can help you get started today and have your adverts showing in no time at all. 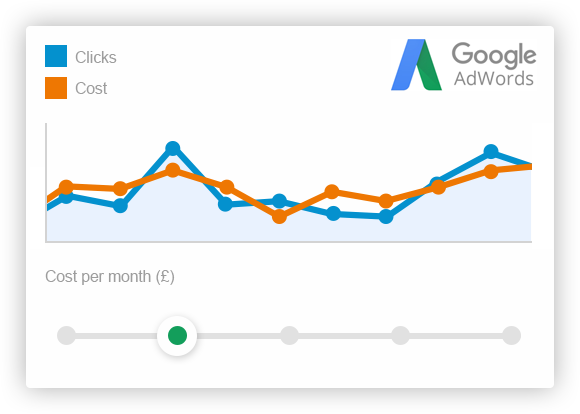 If your business is new to Google AdWords, then you may be eligible for a free advertising voucher worth £75 to £150 from Google to help you on your way. 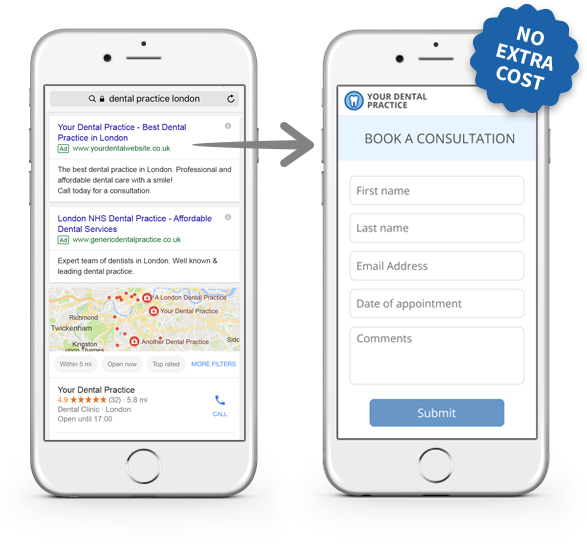 A dental landing page is a part of the website, but its specific web page allows you to capture a visitor’s information through a lead-capture form. The more landing pages you create, the more opportunities you’ll have to convert visitors into patients. We don’t charge extra for this service. Its reassuring to know that Dental SEM is Google AdWords qualified and have experience in running dental specific AdWords campaigns, so you are in the best of hands. Unlike other marketing agencies, we do not charge a fee to manage your campaigns and there are no minimum spends; all of our work is included within our monthly fee.